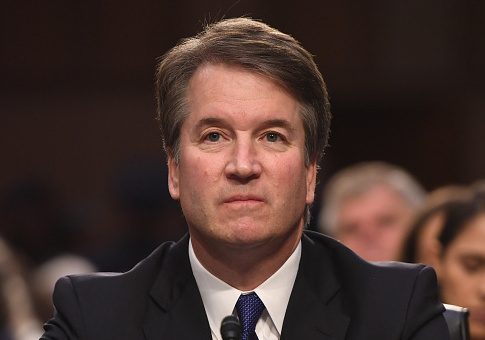 "Senate Republicans made a mockery of their constitutional responsibility to provide ‘advice and consent' on the president’s nomination of Justice Kavanaugh, and the American people deserve to know how and why the process was such a sham," the liberal groups wrote. "The public is just as entitled to a thorough review of Justice Kavanaugh’s record now as it was before he was elevated to the Supreme Court and to know whether allegations against him of sexual assault and perjury have any factual basis." The 26 groups who signed the letter include Demand Justice, Indivisible, Women's March, UltraViolet, National Women's Health Network, and several other groups who were vocal against Kavanaugh during the nomination process. Weeks before Justice Anthony M. Kennedy announced plans to retire, Demand Justice launched a "Ditch the List" website and digital ad campaign targeting Trump's potential Supreme Court nominees. The campaign directly targeted a list Trump previously compiled of potential nominees, one that included Kavanaugh. In June 2018, less than 24 hours after Kennedy announced he would retire in July, Demand Justice hosted a rally with several Senate Democrats on the stairs of the Supreme Court with "Ditch the List" signs. This entry was posted in Politics and tagged Brett Kavanaugh, Brian Fallon, Donald Trump, House Democrats, Senate Democrats, Sexual Assault, Supreme Court. Bookmark the permalink.